This user-friendly guide to the basics of Buddhist psychology presents a roadmap specifically designed for cognitive-behavioral therapy (CBT) practitioners. It explains central Buddhist concepts and how they can be applied to clinical work, and features numerous experiential exercises and meditations. Downloadable audio recordings of the guided meditations are provided at the companion website. Essential topics include the relationship between suffering and psychopathology, the role of compassion in understanding and treating psychological problems, and how mindfulness fits into evidence-based psychotherapy practice. 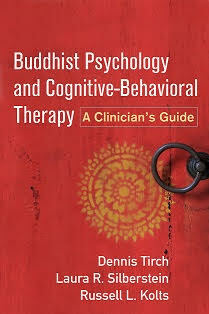 The book describes an innovative case conceptualization method, grounded in Buddhist thinking, that facilitates the targeted delivery of specific CBT interventions. Dennis Tirch, PhD, is Director of the Center for Compassion Focused Therapy in New York City and Adjunct Clinical Assistant Professor in the Department of Psychiatry at Weill Cornell Medical College. He is an associate editor of the Journal of Contextual Behavioral Science and president of the Compassionate Mind Foundation USA, which is committed to research and training in compassion-focused therapy (CFT). Dr. Tirch serves as president of the New York City Cognitive-Behavioral Therapy (CBT) Association and president emeritus of the New York City chapter of the Association for Contextual Behavioral Science, and is a Diplomate and Fellow of the Academy of Cognitive Therapy. He provides training internationally for clinicians and researchers and is the author of numerous books, chapters, and peer-reviewed articles on CBT, CFT, acceptance and commitment therapy, and Buddhist psychology principles. Laura R. Silberstein, PsyD, is Associate Director of the Center for Compassion Focused Therapy and a consulting psychologist at Memorial Sloan Kettering Cancer Center in New York City. She is also Adjunct Assistant Professor at Albert Einstein College of Medicine of Yeshiva University. Dr. Silberstein is a clinical supervisor and compassion-focused therapy (CFT) trainer who presents internationally on mindfulness and compassion and is coauthor (with Dennis Tirch and Benjamin Schoendorff) of The ACT Practitioner's Guide to the Science of Compassion. She is a founder and executive board member of the New York City chapter of the Association for Contextual Behavioral Science and the Compassionate Mind Foundation USA. Her research interests include psychological flexibility and emotions as well as CFT for anxiety and depression. Russell L. Kolts, PhD, is Professor of Psychology at Eastern Washington University. Dr. Kolts has authored or coauthored numerous scholarly articles and books, including An Open-Hearted Life: Transformative Lessons for Compassionate Living from a Clinical Psychologist and a Buddhist Nun (with Thubten Chodron). Dr. Kolts has pioneered the application of compassion-focused therapy (CFT) to the treatment of problematic anger. He regularly conducts trainings and workshops on CFT and is a board member of the Compassionate Mind Foundation USA.